World renowned economist and president of Michigan State University, Walter Adams first published The Test in 1971, a year after his tenure as university president ended. Adams recounts the tumultuous nine months of his office: as the first university president to follow the legendary John Hannah, Adams inherited the unease and resentments that had been quietly swelling under seemingly calm administrative waters. These resentments, coupled with the increased social awareness generated by sixties activism combined in an explosive protest during the fall of 1969. 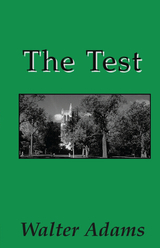 With gripping honesty and clarity, The Test not only chronicles the events, but offers an indictment of those institutional structures that ignored very real social concerns in favor of esoteric academic pursuits. By examining the perspectives of all the participants, Adams presents new directions for the growth and development of university communities. Both a thoughtful analysis and eyewitness account, The Test presents invaluable documentary evidence of one of the most dynamic periods in American history. With the Indian Removal Act of 1830, the Choctaw people began their journey over the Trail of Tears from their homelands in Mississippi to the new lands of the Choctaw Nation. Suffering a death rate of nearly 20 percent due to exposure, disease, mismanagement, and fraud, they limped into Indian Territory, or, as they knew it, the Land of the Dead (the route taken by the souls of Choctaw people after death on their way to the Choctaw afterlife). Their first few years in the new nation affirmed their name for the land, as hundreds more died from whooping cough, floods, starvation, cholera, and smallpox. Living in the Land of the Dead depicts the story of Choctaw survival, and the evolution of the Choctaw people in their new environment. Culturally, over time, their adaptation was one of homesteads and agriculture, eventually making them self-sufficient in the rich new lands of Indian Territory. Along the Red River and other major waterways several Choctaw families of mixed heritage built plantations, and imported large crews of slave labor to work cotton fields. They developed a sub-economy based on interaction with the world market. However, the vast majority of Choctaws continued with their traditional subsistence economy that was easily adapted to their new environment. The immigrant Choctaws did not, however, move into land that was vacant. The U.S. government, through many questionable and some outright corrupt extralegal maneuvers, chose to believe it had gained title through negotiations with some of the peoples whose homelands and hunting grounds formed Indian Territory. Many of these indigenous peoples reacted furiously to the incursion of the Choctaws onto their rightful lands. They threatened and attacked the Choctaws and other immigrant Indian Nations for years. Intruding on others’ rightful homelands, the farming-based Choctaws, through occupation and economics, disrupted the traditional hunting economy practiced by the Southern Plains Indians, and contributed to the demise of the Plains ways of life. No poet of the twentieth century has captured the experience of Arabic-speaking people in the modern world better than Tayseer al-Sboul. One of Jordan’s most celebrated writers, educated in that country, as well as in Lebanon and Syria, he faced the dilemmas and contradictions of the Arab world during the Cold War years. Caught between tradition and modernity, he dreamed of a great Arab nation. 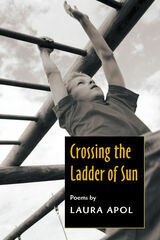 With unflinching courage and brutal honesty, he revealed his life in poems: his family, his connection with his homeland, his rejection of tradition, his flirtation with leftist ideology, his love affairs, his politics, his experience of war and defeat, his inner struggle, his quest for truth. Through al-Sboul’s poems, we understand the struggle of one Arab man to make sense of a world gone mad. Caught between the restrictions of traditional life, the cruelty of war, and the political oppression of the modern Middle East, he was determined to find his own peace, though it proved impossible. After the 1973 Arab-Israeli conflict, he lost all hope and took his own life. Featuring facing-page Arabic-English translations, this volume brings al-Sboul’s poetry into English for the first time. 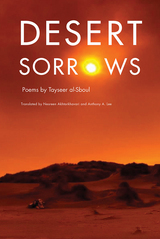 This volume comprises a translation of the first post-modernist historical Arabic novella, You as of Today, by the renowned Jordanian writer Tayseer al-Sboul, and his two short stories “Red Indian” and “The Rooster’s Cry.” “Red Indian” and “The Rooster’s Cry” complement You as of Today by providing, with striking transparency and precision, narratives that examine man’s journey to self-discovery through events that are culturally unique, transparent, and at times shocking. 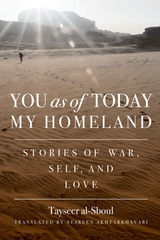 This volume is rich with tales of war, love, politics, censorship, and the search for self in a complex and conflicting Arab world at a critical time in its history. In a captivating style consistent with the nature of events narrated in the text, al-Sboul unveils the inner nature of social, political, and religious patterns of life in Arab society with an honesty and skill that renders You as of Today My Homeland a testimony of human experiences that transcend the boundaries of time and place. Beardstown and Monmouth, Illinois, two rural Midwestern towns, have been transformed by immigration in the last three decades. This book examines how Mexican immigrants who have made these towns their homes have integrated legally, culturally, and institutionally. What accounts for the massive growth in the Mexican immigrant populations in these two small towns, and what does the future hold for them? Based on 260 surveys and 47 in-depth interviews, this study combines quantitative and qualitative research to explore the level and characteristics of immigrant incorporation in Beardstown and Monmouth. 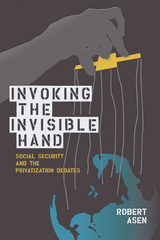 It assesses the advancement of immigrants in the immigration/ residency/citizenship process, the immigrants’ level of cultural integration (via language, their connectedness with other members of society, and their relationships with neighbors), the degree and characteristics of discrimination against immigrants in these two towns, and the extent to which immigrants participate in different social and political activities and trust government institutions. Immigrants in new destinations are likely to be poorer, to be less educated, and to have weaker English-language skills than immigrants in traditional destinations. 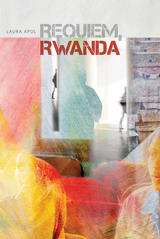 Studying how this population negotiates the obstacles to and opportunities for incorporation is crucial. The St. Lawrence Seaway was considered one of the world's greatest engineering achievements when it opened in 1959. The $1 billion project-a series of locks, canals, and dams that tamed the ferocious St. Lawrence River-opened the Great Lakes to the global shipping industry. Linking ports on lakes Superior, Michigan, Huron, Erie, and Ontario to shipping hubs on the world's seven seas increased global trade in the Great Lakes region. But it came at an extraordinarily high price. Foreign species that immigrated into the lakes in ocean freighters' ballast water tanks unleashed a biological shift that reconfigured the world's largest freshwater ecosystems. Pandora's Locks is the story of politicians and engineers who, driven by hubris and handicapped by ignorance, demanded that the Seaway be built at any cost. It is the tragic tale of government agencies that could have prevented ocean freighters from laying waste to the Great Lakes ecosystems, but failed to act until it was too late. Blending science with compelling personal accounts, this book is the first comprehensive account of how inviting transoceanic freighters into North America's freshwater seas transformed these wondrous lakes. The Battle of Five Forks was one of the the last battles of the American Civil War. A week later, Lee surrendered. Two weeks later, Lincoln was dead. In this meditation on that battle, Alexander juxtaposes the story of the battle, which he tells through narrative, letters, and journal entries, with his own impressions, viewing the South through Northern eyes. 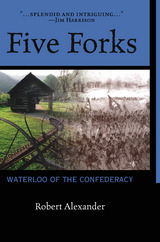 In addition, he views contemporary American society through the story of the Civil War and specifically through the story of Five Forks. If it is true that we meet our past coming to us out of the future, then, Alexander posits, America is still grappling with issues unresolved by the Civil War. Those issues are not just the obvious ones of race and class, or of North vs. South, but also the more ephemeral issues surrounding the mythos Americans live by. Alexander is not a historian, and this is much more a literary work than a battle story. However, the immediacy with which Alexander tells his tale leads the reader to experience Five Forks—the land, the smells, the cries—as if present there in 1865. Thus, he does not just describe a battle; he captures the spirit of all battles, all wars. 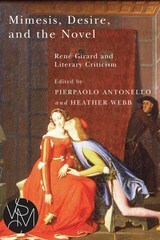 This book is a collection of 22 essays by scholars in the field of Medieval Drama, mostly relating to performance both past and present. Alford wrote one essay in the book. Unlike most of their immigrant counterparts, up until the turn of the twentieth century most Mexicans and Mexican Americans did not settle permanently in Michigan but were seasonal laborers, returning to homes in the southwestern United States or Mexico in the winter. Nevertheless, during the past century the number of Mexicans and Mexican Americans settling in Michigan has increased dramatically, and today Michigan is undergoing its third “great wave” of Mexican immigration. Though many Mexican and Mexican American immigrants still come to Michigan seeking work on farms, many others now come seeking work in manufacturing and construction, college educations, opportunities to start businesses, and to join family members already established in the state. 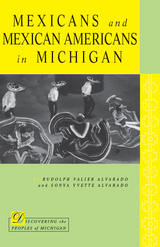 In Mexicans and Mexican Americans in Michigan, Rudolph Valier Alvarado and Sonya Yvette Alvarado examine the settlement trends and growth of this population, as well as the cultural and social impact that the state and these immigrants have had on one another. 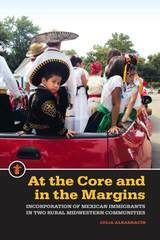 The story of Mexicans and Mexican Americans in Michigan is one of a steadily increasing presence and influence that well illustrates how peoples and places combine to create traditions and institutions. General Jeffery Amherst served as commander in chief of the British army in North America during the Seven Years’ War from 1758 until 1763. Under Amherst’s leadership the British defeated French forces enabling the British Crown to claim Canada. Like many military officers, Amherst kept a journal of his daily activities, and the scope of this publication is from March 1757, while he was Commissary to the troops of Hesse-Kassel on British service in Germany, until his return to Great Britain in December 1763. The daily journal contains a record of and a commentary on events that Amherst witnessed or that he learned of through his correspondence. Where he mentions letters or orders received or sent, where possible, the present-day source locations of documents are identified. The Daily and Personal Journals are the record of the man who played a decisive role in British victories at Louisbourg, on Lake Champlain, and at Montreal. Amherst wrote the personal journal after he returned home. It does not have entries made on a daily basis. It is replete with lists, diagrams, and compendia to more fully explain events. Colored diagrams show dispositions or “Orders of Battle,” organizational structures, and evidence of uniform colors of units for campaigns at Louisbourg, Quebec, Niagara, Lake Champlain, the Carolinas, Montreal, and the Caribbean. In addition, Amherst made mileage charts and lists of ships, currency values, and officers who died during the war. A Dictionary of People, Places, and Ships has more than 1,400 biographies of people mentioned by General Jeffery Amherst in his journals or identified by Robert J. Andrews in his notes. Included are entries for military and naval personnel, aboriginal leaders and warriors, and civilians. Where possible, a commission history is included for each officer of the French Forces, the Royal Navy, provincial officers, and regulars of the British Army. There is an extensive section about various types of commissions, ranks, units, regiments, and appointments. National origins of British army officers are discussed along with roles played by women of the army. 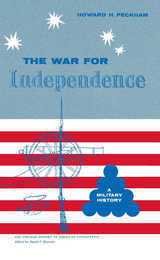 Andrews identifies and analyzes units of “The American Army” that fought Great Britain’s war against the French during the Seven Years’ War in North America. Entries for sites that are named in Amherst’s journals contain descriptions or brief histories for each place. It also describes ships that are mentioned in the journals, including vessels that took part in the Louisbourg operation in 1758, Men of War employed at New York, and British and French vessels on the Great Lakes. How do humans stop fighting? Where do the gods of myth come from? What does it mean to go mad? Mark R. Anspach tackles these and other conundrums as he draws on ethnography, literature, psychotherapy, and the theory of René Girard to explore some of the fundamental mechanisms of human interaction. 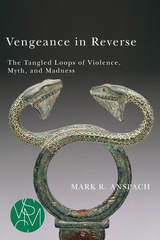 Likening gift exchange to vengeance in reverse, the first part of the book outlines a fresh approach to reciprocity, while the second part traces the emergence of transcendence in collective myths and individual delusions. From the peacemaking rituals of prestate societies to the paradoxical structure of consciousness, Anspach takes the reader on an intellectual journey that begins with the problem of how to deceive violence and ends with the riddle of how one can deceive oneself. Who killed Laius? Most readers assume Oedipus did. At the play’s end, he stands convicted of murdering his father, marrying his mother, and triggering a deadly plague. With selections from a stellar assortment of critics including Walter Burkert, Terry Eagleton, Michel Foucault, René Girard, and Jean-Pierre Vernant, this book reopens the Oedipus case and lets readers judge for themselves. The Greek word for tragedy means “goat song.” Is Oedipus the goat? 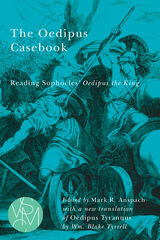 Helene Peet Foley calls him “the kind of leader a democracy would both love and desire to ostracize.” The Oedipus Casebook readings weigh the evidence against Oedipus, place the play in the context of Greek scapegoat rites, and explore the origins of tragedy in the festival of Dionysus. 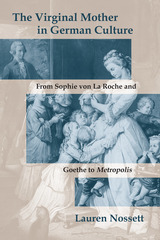 This unique critical edition includes a new translation of the play by distinguished classics scholar Wm. Blake Tyrrell and the authoritative Greek text established by H. Lloyd-Jones and N. G. Wilson. Are religions intrinsically violent (as is strenuously argued by the ‘new atheists’)? Or, as Girard argues, have they been functionally rational instruments developed to manage and cope with the intrinsically violent runaway dynamic that characterizes human social organization in all periods of human history? Is violence decreasing in this time of secular modernity post-Christendom (as argued by Steven Pinker and others)? Or are we, rather, at increased and even apocalyptic risk from our enhanced powers of action and our decreased socio-symbolic protections? 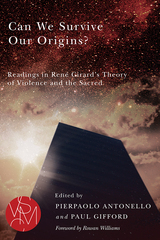 Rene Girard’s mimetic theory has been slowly but progressively recognized as one of the most striking breakthrough contributions to twentieth-century critical thinking in fundamental anthropology: in particular for its power to model and explain violent sacralities, ancient and modern. The present volume sets this power of explanation in an evolutionary and Darwinian frame. It asks: How far do cultural mechanisms of controlling violence, which allowed humankind to cross the threshold of hominization—i.e., to survive and develop in its evolutionary emergence—still represent today a default setting that threatens to destroy us? Can we transcend them and escape their field of gravity? Should we look to—or should we look beyond—Darwinian survival? What—and where (if anywhere)—is salvation? Fifty years after its publication in English, René Girard’s Deceit, Desire, and the Novel (1965) has never ceased to fascinate, challenge, inspire, and sometimes irritate, literary scholars. It has become one of the great classics of literary criticism, and the notion of triangular desire is now part of the theoretical parlance among critics and students. 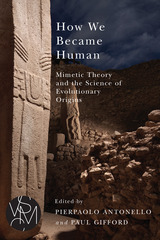 It also represents the genetic starting point for what has become one of the most encompassing, challenging, and far-reaching theories conceived in the humanities in the last century: mimetic theory. 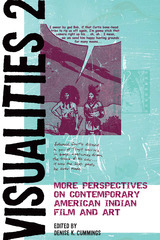 This book provides a forum for new generations of scholars and critics to reassess, challenge, and expand the theoretical and hermeneutical reach of key issues brought forward by Girard’s book, including literary knowledge, realism and representation, imitation and the anxiety of influence, metaphysical desire, deviated transcendence, literature and religious experience, individualism and modernity, and death and resurrection. It also provides a more extensive and detailed historical understanding of the representation of desire, imitation, and rivalry within European and world literature, from Dante to Proust and from Dickens to Jonathan Littell. 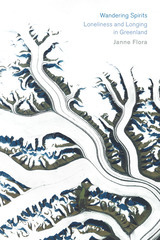 This collection is made up of poems that explore the evolution of belief, living in the body, daughter-mother and mother-daughter interactions, the celebration and failure of a longterm relationship, and the loss of friends and colleagues. 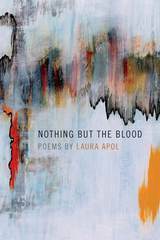 Coming as they do at mid-life, the poems understand, appreciate, and often push back against the weight of both history and expectation. Harriette Arnow’s search for truth as early American settlers knew it began as a child—the old songs, handed-down stories, and proverbs that colored her world compelled her on a journey that informs her depiction of the Cumberland River Valley in Kentucky and Tennessee. Arnow drew from court records, wills, inventories, early newspapers, and unpublished manuscripts to write Seedtime on the Cumberland, which chronicles the movement of settlers away from the coast, as well as their continual refinement of the “art of pioneering.” A companion piece, this evocative history covers the same era, 1780–1803, from the first settlement in what was known as “Middle Tennessee” to the Louisiana Purchase. When Middle Tennessee was the American frontier, the men and women who settled there struggled for survival, land, and human dignity. The society they built in their new home reflected these accomplishments, vulnerabilities, and ambitions, at a time when America was experiencing great political, industrial, and social upheaval. Michigan State University Press is proud to announce the re-release of Harriette Simpson Arnow's 1949 novel Hunter's Horn, a work that Joyce Carol Oates called "our most unpretentious American masterpiece." In Hunter's Horn, Arnow has written the quintessential account of Kentucky hill people—the quintessential novel of Southern Appalachian farmers, foxhunters, foxhounds, women, and children. New York Times reviewer Hirschel Brickell declared that Arnow "writes...as effortlessly as a bird sings, and the warmth, beauty, the sadness and the ache of life itself are not even once absent from her pages." 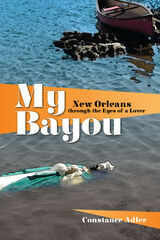 Arnow writes about Kentucky in the way that William Faulkner writes about Mississippi, that Flannery O'Connor writes about Georgia, or that Willa Cather writes about Nebraska—with studied realism, with landscapes and characters that take on mythic proportions, with humor, and with memorable and remarkable attention to details of the human heart that motivate literature. A gripping portrait of life in the hard-bitten wilderness of Revolutionary Kentucky, Harriette Simpson Arnow’s The Kentucky Trace follows surveyor William David Leslie Collins as he struggles to survive. Collins finds his fellow settlers to be almost as inscrutable as the weather—at times, they are allies, and at others, they are adversaries. Collins battles nature, bad luck, and the quickly shifting political tides to make his way in a changing world. Showcasing Arnow’s ear for dialogue and offering a wealth of historical detail, The Kentucky Trace is a masterful work of fiction by a preeminent Appalachian writer. Masterfully wrought and keenly observed, Mountain Path draws on Harriette Simpson Arnow’s experiences as a schoolteacher in downtrodden Pulaski County, Kentucky, deep in the heart of Appalachia, prior to WWII. Far from a quaint portrait of rural life, Arnow’s novel documents hardships, poverty, illiteracy, and struggles. She also recognizes a fragile cultural richness, one characterized by “those who like open fires, hounds, children, human talk and song instead of TV and radio, the wisdom of the old who had seen all of life from birth to death,” and which has since been eroded by the advent of highways and industry. In Mountain Path, Arnow exquisitely captures the voices, faces, and ways of a people she cared for deeply, and who evoked in her a deep respect and admiration. Harriette Arnow’s roots ran deep into the Cumberland River country of Kentucky and Tennessee, and out of her closeness to that land and its people comes this remarkable history. The first of two companion volumes, Seedtime on the Cumberland captures the triumphs and tragedies of everyday life on the frontier, a place where the land both promised and demanded much. In the years between 1780 and 1803, this part of the country presented tremendous opportunity to those who endeavored to make a new life there. Drawing on an extensive body of primary sources—including family journals, court records, and personal inventories—Arnow paints a stirring portrait of these intrepid people. Like the midden at some ancient archaeological site, these accumulated items become a treasure awaiting the insight and organization of an interpreter. 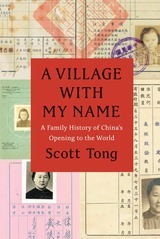 Arnow also draws on a medium she believed in unerringly—oral history, the rich tradition that shaped so much of her own family and regional experience. A classic study of the Old Southwest, Seedtime on the Cumberland documents with stirring perceptiveness the opening of the Appalachian frontier, the intersection of settlers and Native Americans, and the harsh conditions of life in the borderlands. As compelling as it is turbulent, The Weedkiller’s Daughter captures a family at the center of the rapidly changing society of midcentury Detroit. Fifteen-year-old Susie greets this new era with a sense of curiosity, while her father rages against it, approaching anything and everything foreign, unconventional, or unfortunate as he does the weeds he perpetually removes from his garden. As Susie seeks escape from her parents’ increasingly restrictive world of order and monotony, she ventures deeper and deeper into a dangerously new territory. The Weedkiller’s Daughter is a gripping psychological exploration of a generation on the brink of indelible—and irreversible—transformation. The first book of its kind to explore this magnificent creature, this collected volume captures many aspects of the remarkable Great Lakes sturgeon, from the mythical to the critically real. Lake sturgeon are sacred to some, impressive to many, and endangered in the Great Lakes. A fish whose ancestry reaches back millions of years and that can live over a century and grow to six feet or more, the Great Lakes lake sturgeon was once considered useless, then overfished nearly to extinction. Though the fish is slowly making a comeback thanks to the awareness-raising efforts of Native Americans, biologists, and sturgeon supporters, it remains to be seen if conservation and stewardship will continue to the degree this remarkable animal deserves. Blending history, biology, folklore, environmental science, and policy, this accessible book seeks to reach a broad audience and tell the story of the Great Lakes lake sturgeon in a manner as diverse as its subject. 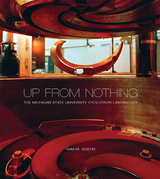 Up from Nothing is the story of the Michigan State University Cyclotron Laboratory and its growth from the appointment of a single individual in 1958 to when the university earned the right to build the Facility for Rare Isotope Beams (FRIB) in 2008. The cyclotron laboratory at MSU has been known for years as the best university nuclear physics laboratory in the United States, and perhaps in the world. But very few, even in its hometown of East Lansing, know how it achieved that status or why it prospered when laboratories at many other famous universities faded. In this book Austin, a nuclear physicist who has been at the laboratory since the beginning of its ascent, gives us a remarkable story. It begins with an exceptional individual, Henry Blosser, who founded the laboratory, built a cyclotron accelerator of uniquely high precision, and recruited a team of nuclear physicists that used it to establish the laboratory’s reputation. Its credibility led to a sequence of accelerators, each operating in a different sub?eld while continuing a tradition of forefront science, and to a laboratory culture that fostered the courage and foresight to compete for the FRIB in the face of daunting odds.